After a few years on the ropes, HBO’s boxing franchise is down for the count. 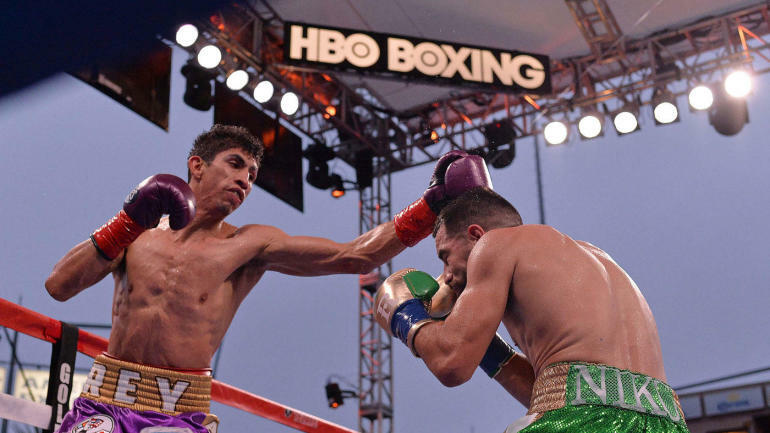 HBO announced Thursday it was ending boxing telecasts on the network after 45 years, with the cancellations of World Championship Boxing, Boxing After Dark, and The Fight Game. The move isn’t surprising given the franchise has been on a ratings decline for the last few years. Even though reports circulated the last boxing card was set for October 27, another match was added for November 24. It is not known if this is the final date set for HBO’s boxing telecasts. Ringside announcer and Fight Game host Jim Lampley is expected to stay with HBO Sports in another role. But other personalities associated with HBO Boxing are exiting, including commentators Max Kellerman and Harold Lederman. The decision to cancel boxing programming is the latest shift by HBO as new owner AT&T wants to see more returns on their investment. A story in the New York Times on July 8 noted HBO chief Richard Pleper and AT&T boss John Stankey wanted to get “bigger and broader” in order to compete with streaming giants Netflix and Amazon as the well-funded Silicon Valley giants are dwarfing HBO in subscriber counts and awards. And naturally, boxing doesn’t fit into the criteria as HBO Sports President Peter Nelson said it no longer was a subscription driver since its critically-acclaimed and Emmy-winning scripted programming (such as Game of Thrones) is doing a far better job. Boxing has been a part of HBO since its early years, with its first televised match in January 1973 when George Foreman defeated Joe Frazier in Jamaica. HBO also showed The Thrilla In Manilla between Muhammad Ali and Frazier; and the Rumble In The Jungle featuring Ali and Forman. These matches helped regain boxing’s popularity after a sharp downturn in the 1960s. HBO (through pay-per-view) featured the rise of Mike Tyson – and the fall – with Buster Douglas knocking him out in a memorable 1990 contest. But HBO’s boxing brand has seen erosion in recent years. After a falling out with HBO, promoter Al Haymon formed rival Premier Boxing Champions and struck deals with NBC, Showtime, CBS, and Fox, among others (PBC recently signed Fox to a four-year exclusive broadcast network deal to air boxing in prime-time.) The biggest blow came last year with Bob Arum’s Top Rank boxing defected from HBO to sign a lucrative deal with ESPN, which had a streaming component HBO didn’t have. It left HBO with only Golden Boy Promotions, who programmed a number of matches on the channel last fall to lackluster ratings and on-site attendance. HBO cut back on boxing this year as general entertainment programming in those Saturday slots drew more viewers and revenue. Despite the departure of boxing, HBO is maintaining a sports presence – newsmagazine Real Sports With Bryant Gumbel is continuing and so is its 24/7 franchise, which will now cover other sports. Hard Knocks and other sports documentaries are continuing, with a new LeBron James series in the works. But it’s an end of an era for boxing as it’s clear HBO failed to keep up with the changing dynamics of the sport.